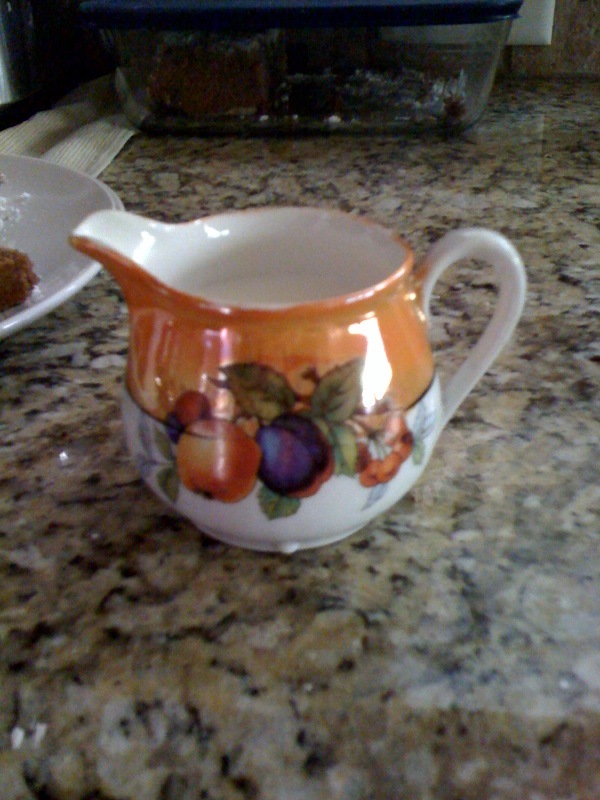 My Grandma gave this cute little milk jug to me last time I was in the UK, I brought it home carefully wrapped in my suitcase and didn't use it for ages. But recently I had a friend over for coffee the little ones were splashing in the paddling pool and we were having tea on the back deck and I thought why not use it! We often keep china cups for special occasions and nice clothes but why not use or wear them isn't every day a gift and a special occasion! What are you going to use?